Ross Wheble predicts the Cambodian property market will “perform well” in 2015. The Cambodian property market has done well this year, despite some stagnation that followed 2013’s troubled national elections. 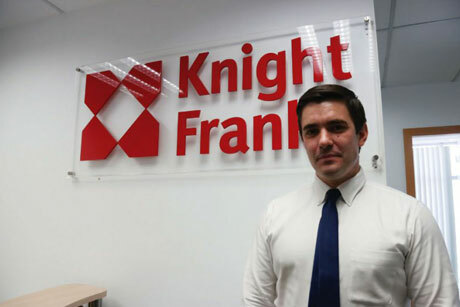 Ross Wheble, country manager at worldwide real estate agency Knight Frank, spoke with the Post about the Kingdom’s property prospects for 2015. Whilst the next elections are still some way off, I think we will continue to see the momentum witnessed in 2014 carry over into 2015. As I said, I think we will continue to see the property sector perform well during 2015 driven by increasing demand from domestic/foreign investors, retailers and multinational companies, as well as a shift in the living habits of Cambodians, with local buyers wanting to live in newly constructed condominium developments with modern facilities and amenities. Vietnam was severely impacted by the global financial crisis, and a lot of foreign investors and developers lost significant amounts of money, which has tainted their outlook on Vietnam. Furthermore, the fact that Vietnam is a communist country deters a lot of investors from entering the market. The above notwithstanding, the Vietnamese economy appears to have turned a corner, and the relaxation of the laws on foreign ownership will certainly generate demand from foreign investors. But I think the impact on Cambodia will be minimal. There are many sectors to invest in, not just real estate. I see one of the biggest areas of opportunity being in infrastructure, which would have significant benefits for the future development of Cambodia. Equally, we are seeing increasing activity in the agricultural industries such as rubber plantations, where foreign operators have expertise to increase yields and take advantage of Cambodia’s fertile land. The banking sector is also relatively immature, with lending rates for property generally ranging between 7 to 9 percent. This impacts the demand for property – with a lower cost of financing and higher loan-to-value ratios, we would certainly expect greater demand for residential property in the main cities of Cambodia. Certainly when talking about multinational companies and international developers, one of the main concerns is corruption and a lack of transparency in the market. Equally, government statutes on areas such and health and safety and fire regulations need to be introduced to improve the quality of construction in Cambodia, giving confidence not just to multinational corporations and investors but also to Cambodians. Personally, in the short term, I do not see the Cambodian property sector benefitting from the ASEAN Economic Integration; whilst there may be more cross-border business activity, I do not see an influx of companies or labour coming to Cambodia in 2015.